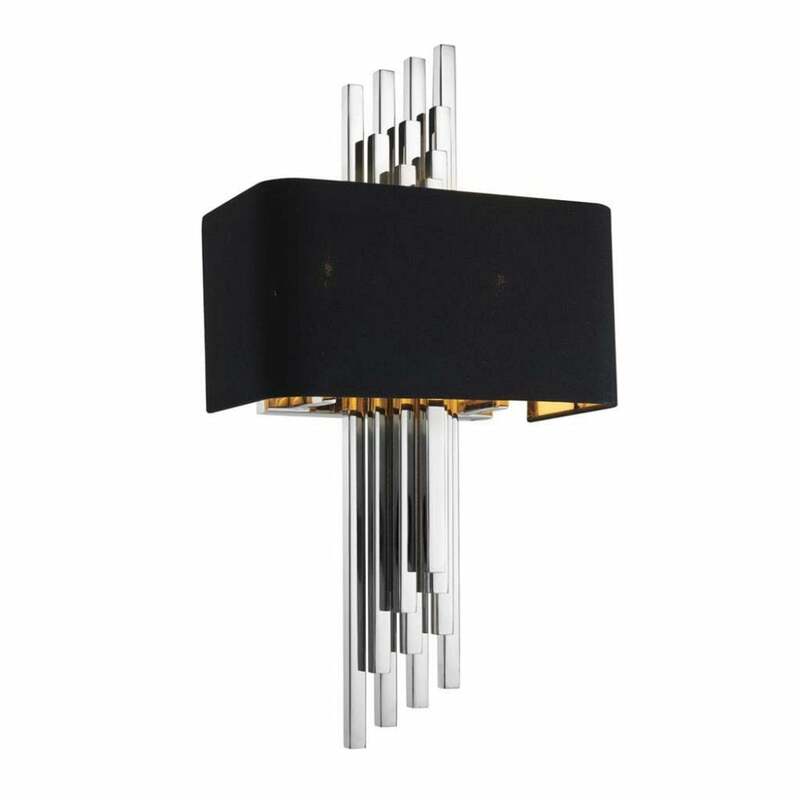 Sleek and sophisticated, the Caruso Wall Lamp is part of the popular lighting collection by Eichholtz. With high-end designer appeal, the Caruso Wall Lamp is hand-crafted by skilled artisans with a modern nickel or classic antique brass finish. This striking design features a sculptured form with layers of linear metal. The diagonal shape creates a unique lighting design that gives the illusion of length and height. Use the Caruso Wall Lamp to add depth and ambience to a contemporary interior or to add a contrasting finish to a more traditional scheme. Includes a soft shade in a complementary rich black hue.